During the "Mock Wedding" held at Day by Day on Tuesday. 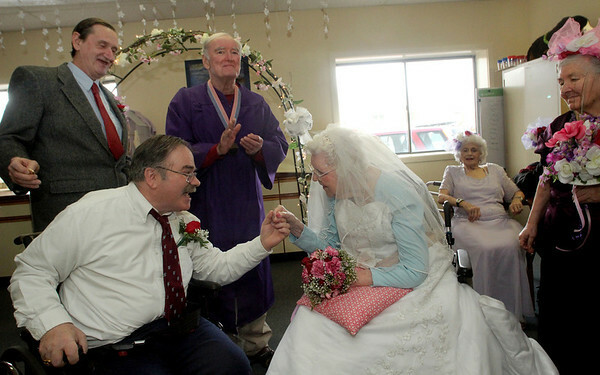 Seated in front, Bill Grandmont and Alyce Brayman are pronounced "special friends," by "officiant Denis Golden, standing between them. On either side are "best man" Eddie Kenia and "maid of honor" Joan Dunleavy. Seated in back right is "bridesmaid" Angie Verga.